At ReachBio Research Labs, we’re here to lend our expertise in cell-based assays to support ongoing pre-clinical and clinical trials. We can accept samples from single institutions or multiple centers for analysis. 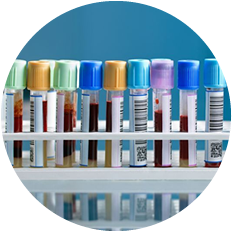 We readily accept peripheral blood, bone marrow and mobilized peripheral blood from multiple species (including NHP) to support preclinical studies. We have evaluated cord blood, peripheral blood, mobilized peripheral blood and bone marrow samples in ongoing clinical trials. We understand the precious value of these samples and deal with each of them with the utmost care to ensure they will generate high quality informative data. Please CONTACT US to discuss your project’s requirements with one of our scientists.